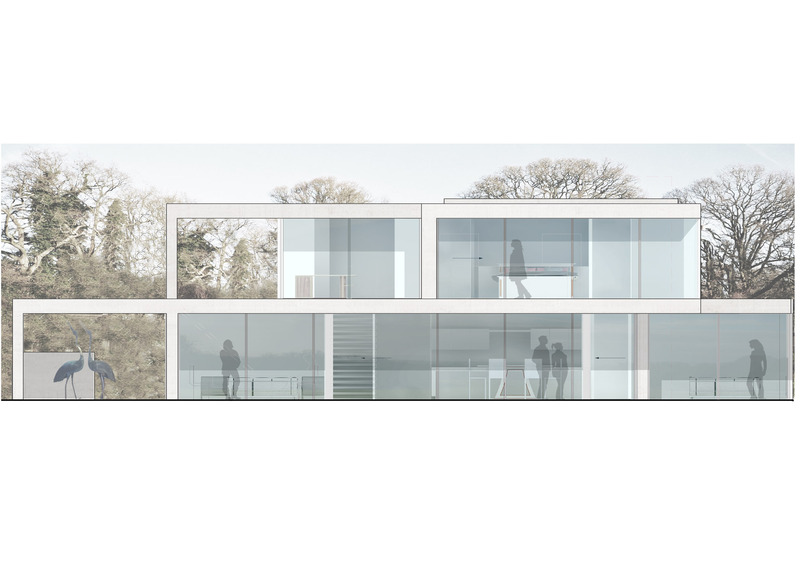 North Farm House for client South Lodge Estate is a new 240m2 two storey contemporary house located on a spectacular rural site near Cowfold in West Sussex. Situated on a south facing slope in the High Weald Area of Outstanding Natural Beauty (AONB), the new house will occupy the courtyard site of a partially demolished former agricultural covered yard. It will form the farm estate’s nexus at the centre of a cluster of three traditional farm buildings namely a C18th timber framed barn, a brick built former dairy and a C19th brick cottage which it will adjoin. 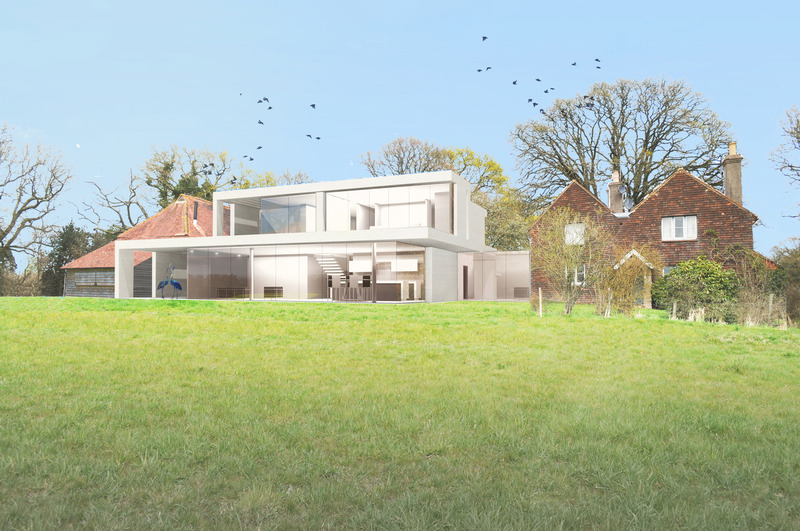 The architectural composition of the new house presents relatively closed elevations toward the three existing buildings to its west, north and east, before opening up toward the south with expressive horizontal planes and large areas of floor to ceiling glazing which give spectacular views across the estate’s rolling farmland, the Weald and the South Downs beyond. Planning permission has been secured, technical design stages are in progress and construction is to commence during Spring 2019.